So then I got silly and wrote that title. Peter is the first among the Apostles. He holds pre-eminence. That which was entrusted to Peter was, in fact, entrusted to all the Apostles. Entrusting it to Peter was symbolic of the unity and universality of the gifts** given. People sometimes make much of North African ‘independent-mindedness’ and would see Augustine here as following in his predecessors’ footsteps. Yes, Peter is first among the Apostles. But the keys to heaven, the binding and loosing, are given to the whole Church, not just to him. They would then chortle in glee at allegedly having undermined the Bishop of Rome. And we must admit, Blessed Augustine’s vision does not fully match that of Leo I, Bishop of Rome, who acceded to the See of Peter ten years after the sainted Bishop of Hippo passed from this life. 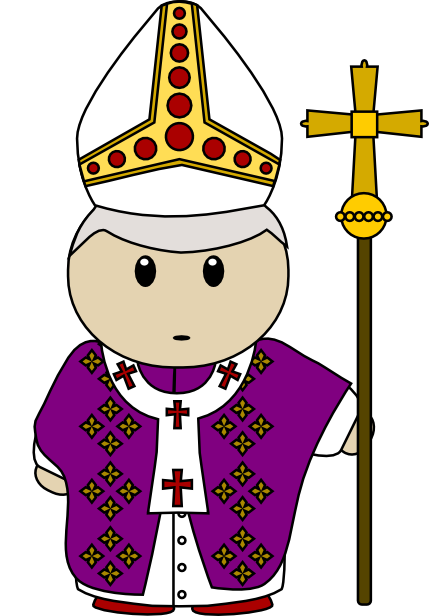 Leo’s vision plays out in the real world by saying that from Peter’s successor flow all post-apostolic ministry. If people are not in communion with Rome (although the argument would hold for Antioch as easily, something he would not have been unaware of) both structurally and doctrinally, they are not united with the apostolic ministry and with the head of the stream of authority which flows from Rome. Most of us Protestants tend to just ignore these arguments, or take it as far as St Augustine goes. But I can assure you that Augustine would have accepted the authority of Rome in most areas, even if his exegesis differed from Leo’s. And he would have seen Donatist and Arian Christianity, both present in North Africa upon his death, as being out of step with the rest of the Church and therefore exercising illegitimate ministry. Is Rome the essential part of the puzzle for Augustine? I think the question would have been absurd in the fifth century. If you are out of communion with one part of the Church, you are out of communion with the rest. Fifth-century debates about authority were not about whether one must be in communion with Rome to be legitimate but about how the pre-eminence of the Petrine see played out its authority in practice, and what on earth to do with Constantinople. The pain of schism was not simply that Donatists were out of step with Rome but that their fellowship with the Church Catholic was severed. 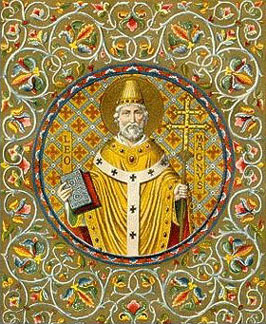 The pain of schism was not just that Timothy Aelurus (‘the Cat’) in Alexandria did not keep the Bishop of Rome in the diptychs, but that his fellowship with the Church Catholic was severed. — it’s that we are all out of fellowship with one another. We live with the pain and brokenness of not being able to walk up to one another, to a Catholic or Lutheran or Eastern Orthodox or Syrian Orthodox brother or sister and break bread and enter into the depths of the mystical communion that lies at the heart of the Church’s daily sacramental life. Leo and Augustine, however they envisioned that Petrine ministry acting out on the fifth-century stage, must be standing before the Throne of Grace daily interceding for us to find a way back together. *Paulus is a Latin cognomen literally meaning ‘small’. Who knows what Paul’s real stature was? He was certainly a giant in theology. **Accidentally typed ‘gits’ the first time. Ha.